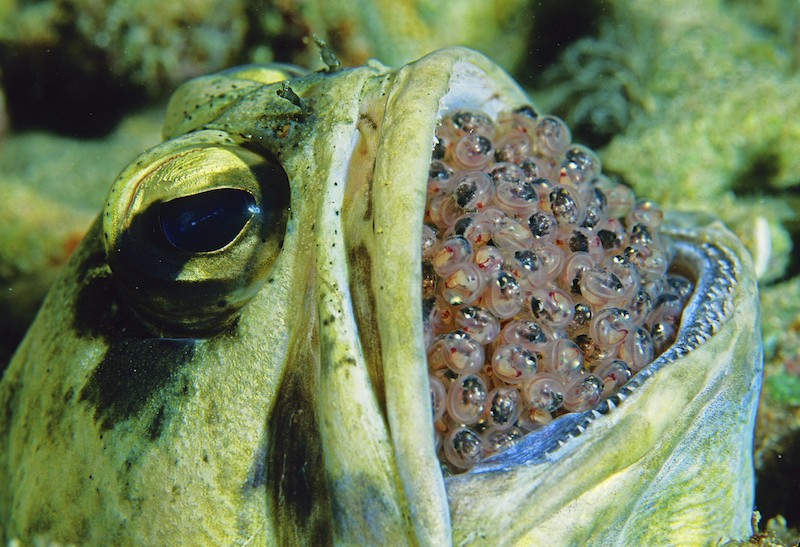 A giant jawfish holding a mouthfull of nearly ready to hatch eggs. Jawfish hold their egg mass in their mouth for protection and aeration, only setting it down when they need to feed. The jawfish lives in a burrow in the bottom, usually in coral rubble next to a reef.